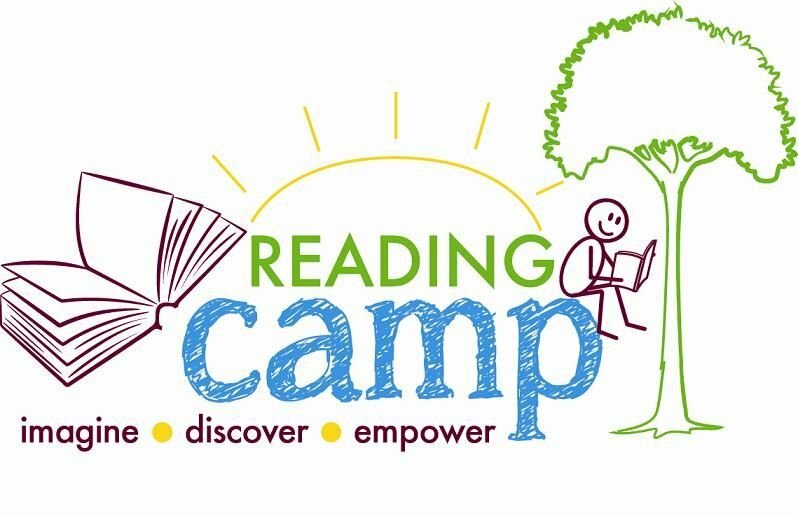 Held annually at Ascension since 2013, Reading Camp is a day camp that is provided FREE to children in need. It provides third through fifth graders who are reading below grade level non-traditional educational opportunities that build confidence and empower them to achieve academic success. Reading Camp builds both reading skills and self-confidence! See pictures from previous years of Frankfort Reading Camp HERE. Camp Director Rebecca Saager says, “Reading Camp is a secular literacy summer camp program that provides a way for partners in the faith community to support and enhance the academic success of students in their communities.” The camp’s mission is to promote the personal and academic growth and success of students through informal, summertime educational opportunities. 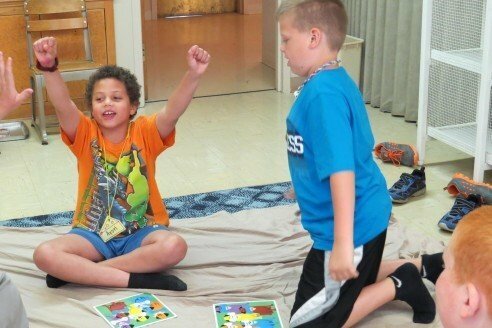 Camp leaders, instructors and volunteers include working and retired professional educators, church staff, and young and old members of Church of the Ascension, Frankfort’s only Episcopal Church. Other local churches, including Immanuel Baptist and the First United Methodist, contributed to the effort by providing transportation (loaning a church bus). This day camp is provided free of charge to about 30 "campers" each year - campers are local elementary students selected with the help of school counselors and parents. The goal for all campers is to help individuals become stronger readers, more engaged students, and, in turn, more active community members. 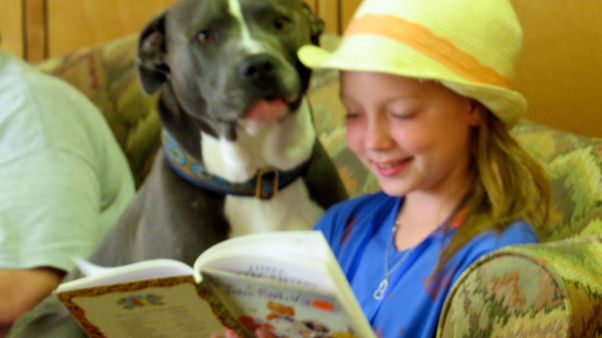 Campers learn new reading strategies and read to each other, to volunteer listeners, and to a reading therapy dog. 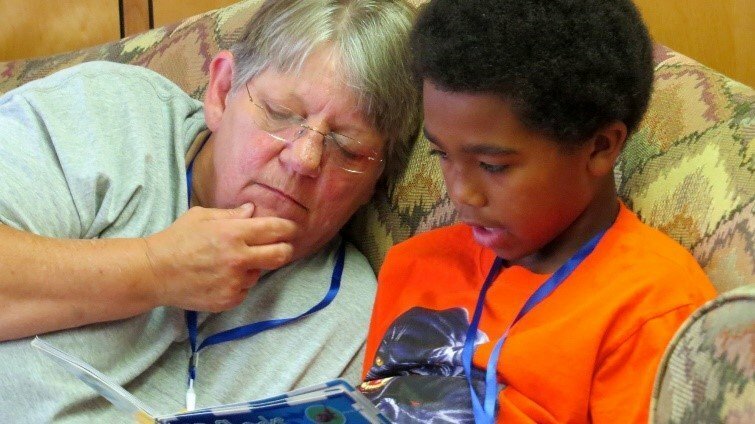 In turn, they listen to or read stories with a variety of adult volunteers. Students also keep journals of their experiences during the camp. Reading Camp, however, is anything but all work. Past campers have enjoyed swimming, playing games, riding trains and feeding the animals at Heavenly Hilltop Railroad, making pots at Broadway Clay, and singing along with Ascension’s own “Grandpa Jones” (a.k.a. David Hurt). They have also visited Paul Sawyer Public Library, listened to Patrick Tuck share the joy and sounds of numerous styles of trumpets, and toured the Kentucky History Museum and Josephine Sculpture Park, while experiencing the city’s culture. Campers are served breakfast and lunch, as well as snacks, at the church’s location in historic downtown Frankfort. Local businesses contribute food as well as fun. Past donors have included Adelia’s Café, Kentucky Fried Chicken, and Krogers. Everyday Matters LLC shared a bus and driver for our trip to the farm. The campers return to school in the fall with new books, backpacks, and journals – more ready to learn and more excited about reading because their camping experience allowed them to imagine, discover, and build confidence in their reading skills. Campers will be contacted throughout the school year to follow up on their progress.